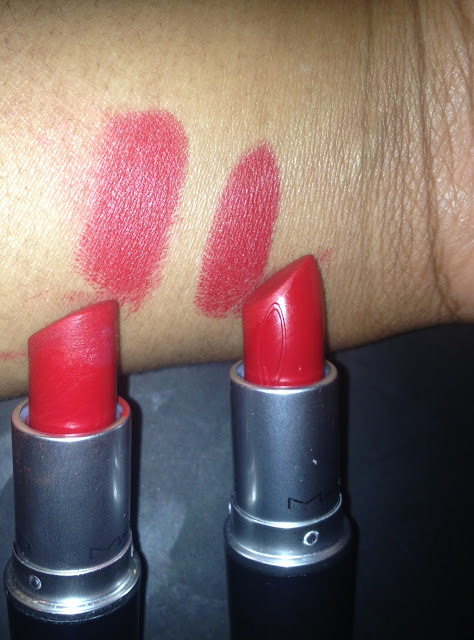 Below is my on camera swatche for Ruby Woo, a Mac classic, and RiRi Woo, a " new" Mac color and finish. I also included other new items that I picked up recently. Here is a pic of Ruby Woo on the left and RiRi Woo on the right. What do you think? I love the riri woo, can't wait to get home because my tracking number says it is waiting for me! Unfortunately I missed the Riri Woo, but since its so close to Ruby Woo, I don't feel too bad. It is more blue based which is nice, but I think either would work. I don't typically buy lip scrubs, (always in some kind of balm/gloss) but def want to see your review.